Shadow of the Tomb Raider - The Path Home available April 23rd. Join Lara in The Path Home, following the end of Shadow of the Tomb Raider after the dust has settled & the battle over. Available exclusively to Season Pass owners . This is the 7th and Final DLC Offering for Shadow Of The Tomb Raider Season Pass. This was the first time they had 7 levels and outfits etc. So yeah a great value for the money. I hope we get some word in the coming months on what is next for the franchise. You get this outfit too. 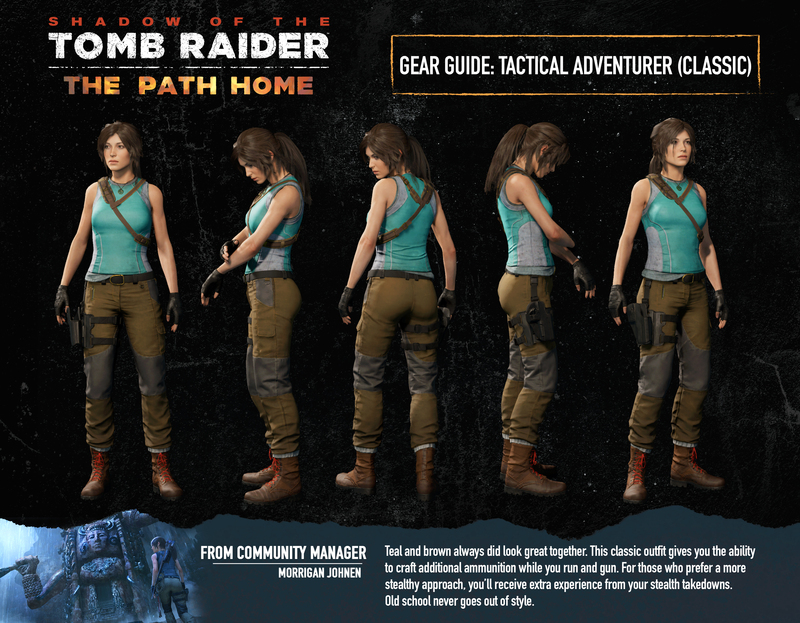 I'd like to see a more global aspect to the next game and for Lara to be a bit more grown up and not so soft. She needs to mature and be grittier and tougher. And perhaps ditch the ponytail. 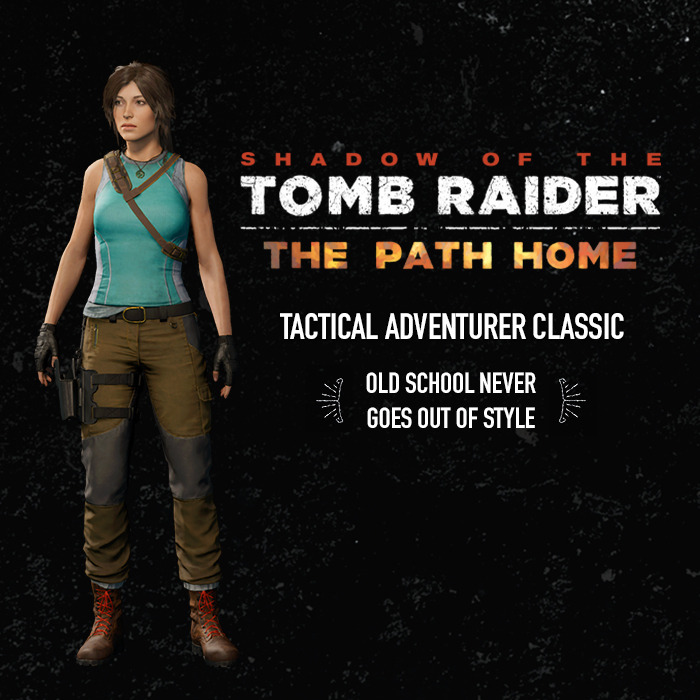 I'd like options to make Lara from a classic set of outfits and hair to something new and different or make your own. Also the dual pistols need to come back. More detailed Description of the new outfit. Looks great, but an actual classic outfit would have been fantastic. Yeah I totally agree. You think they would get the hint by now.